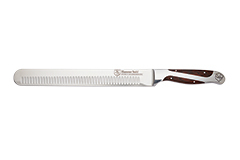 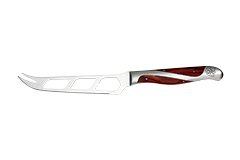 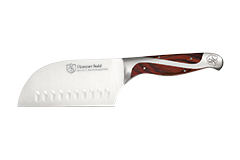 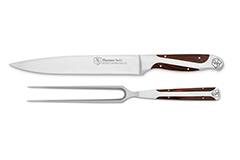 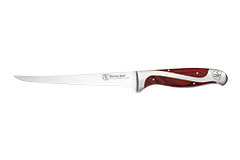 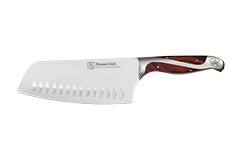 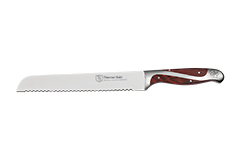 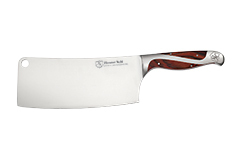 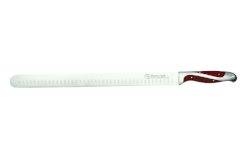 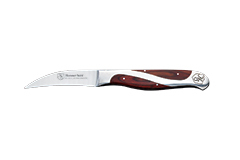 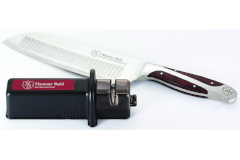 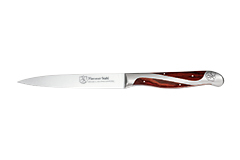 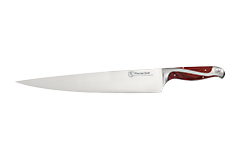 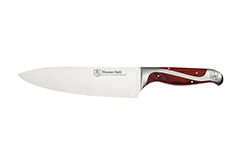 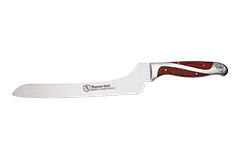 Hammer Stahl knives are made of super high-quality German steel and have a sleek contoured design. 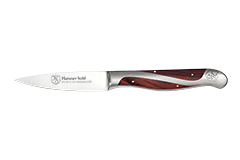 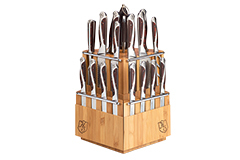 Hammer Stahl knives are amazingly sharp and extra durable, with handles made from Pakkawood. 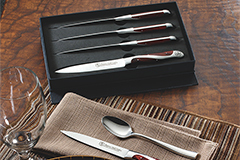 Its attractive ergonomic handle design is especially nice at the table and provides extra comfort in the hand. 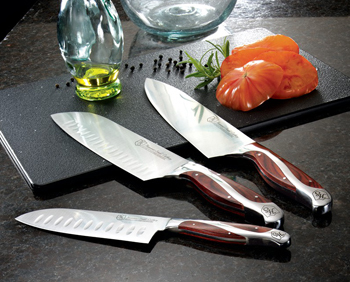 We love the look and feel of this new brand of knives.